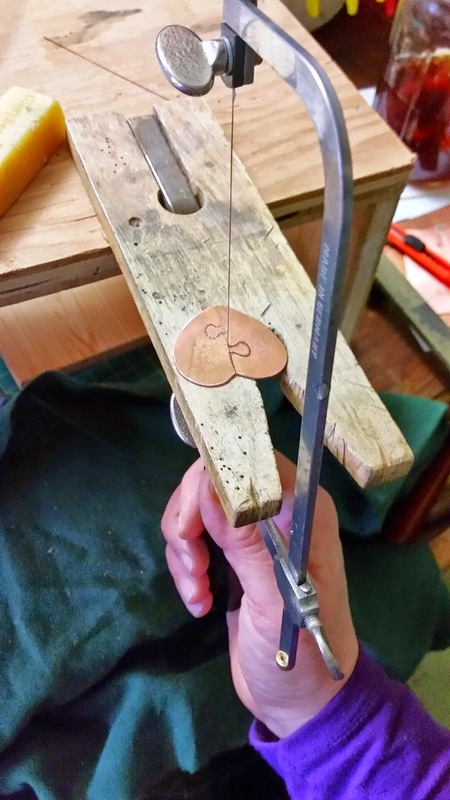 These will be drilled and riveted to the front of cards and act as the lock or clasp. The colors are coming through more garish than they really are. 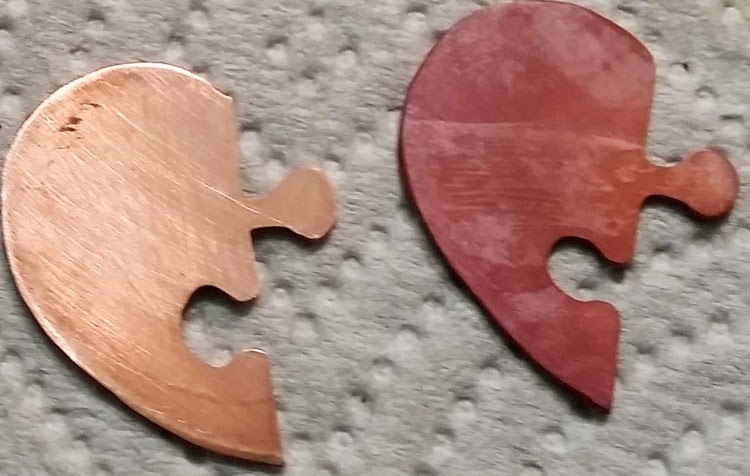 First the heart shape is cut from sheet copper and sanded. Then I draw the jigsaw lines and saw out the connection. 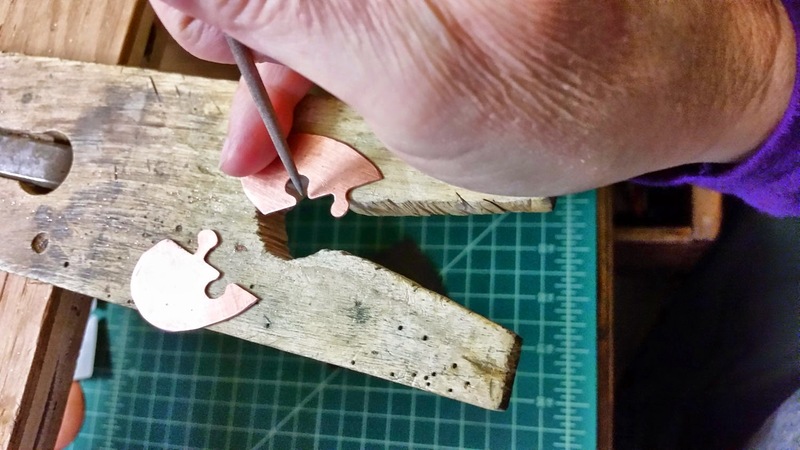 Filing off burrs and rough spots followed by sanding. Before and after heat treating. I used my phone to take a video of the heat-treating process but the file is too large to transfer. Bummer. I heat the pieces with a torch to red hot then immediately drop into boiling water. It makes a wonderful roiling noisy fuss then settles down. depending on the temperature when it hits the water. It then receives several coats of wax and buffing. This is so interesting. Nice to see your process Bobi. 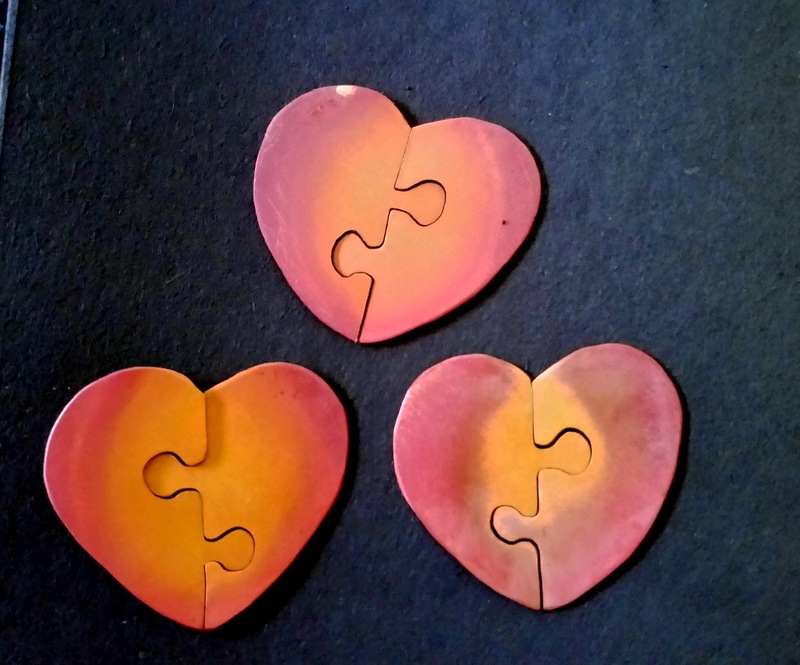 The heart puzzle pieces are really cool. 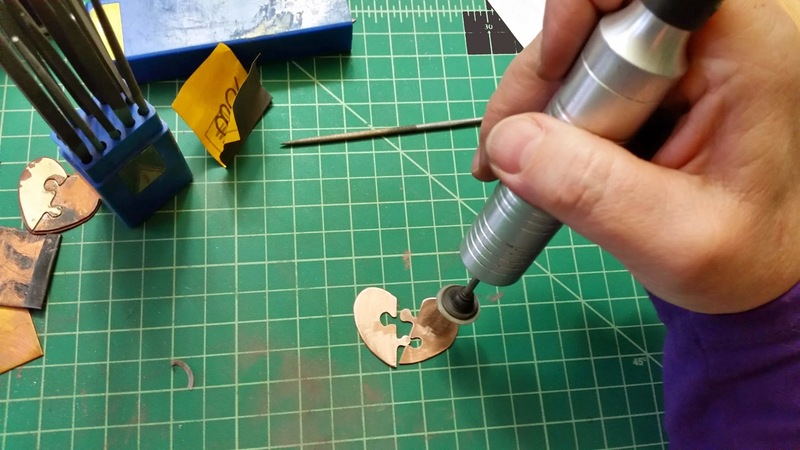 All your work looks so creative and fun working with 3 dimensional objects!